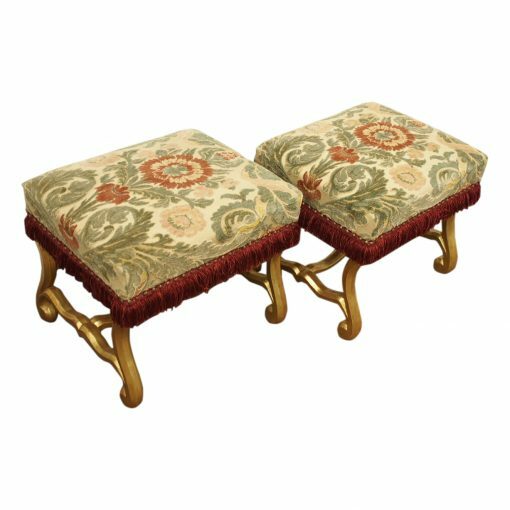 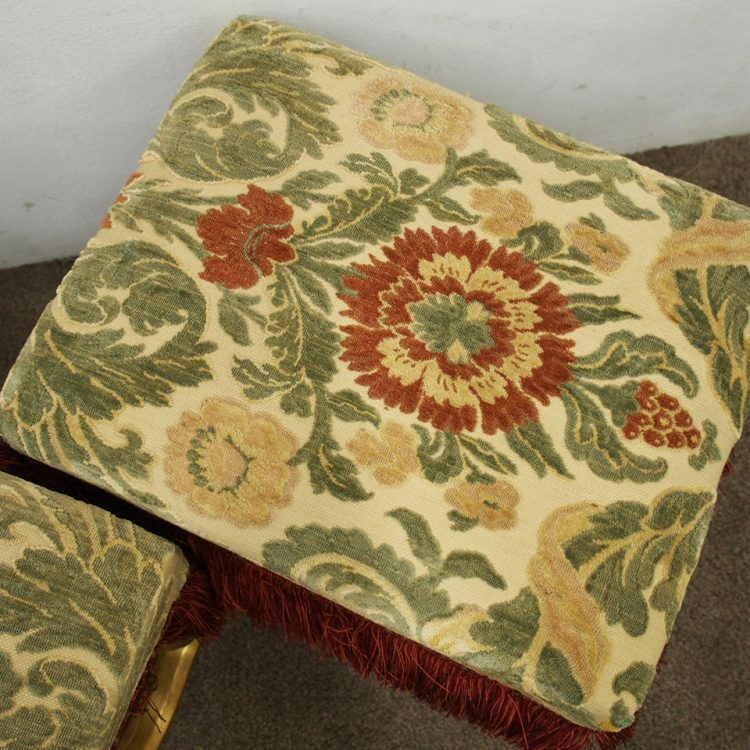 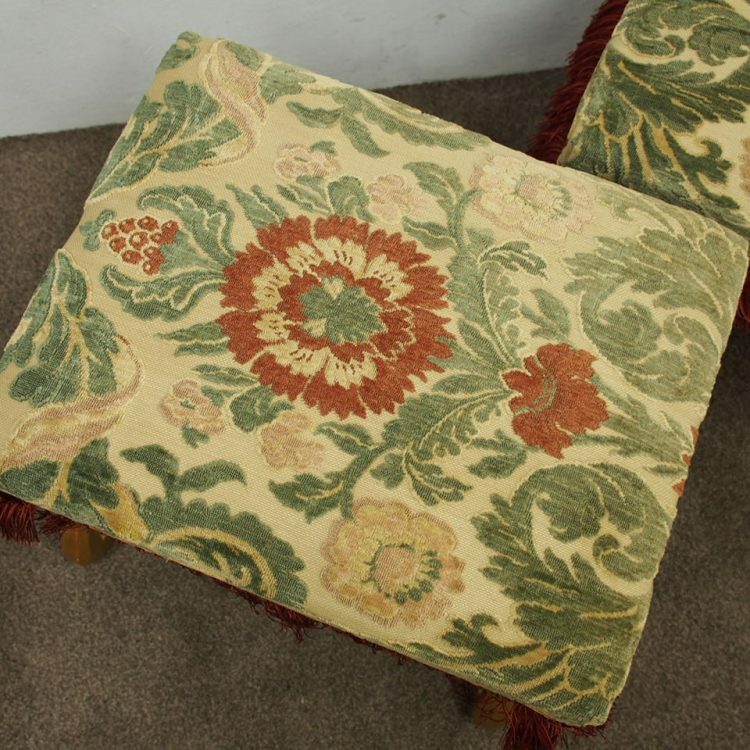 First quarter 20th century, stylish pair of giltwood upholstered footstools. 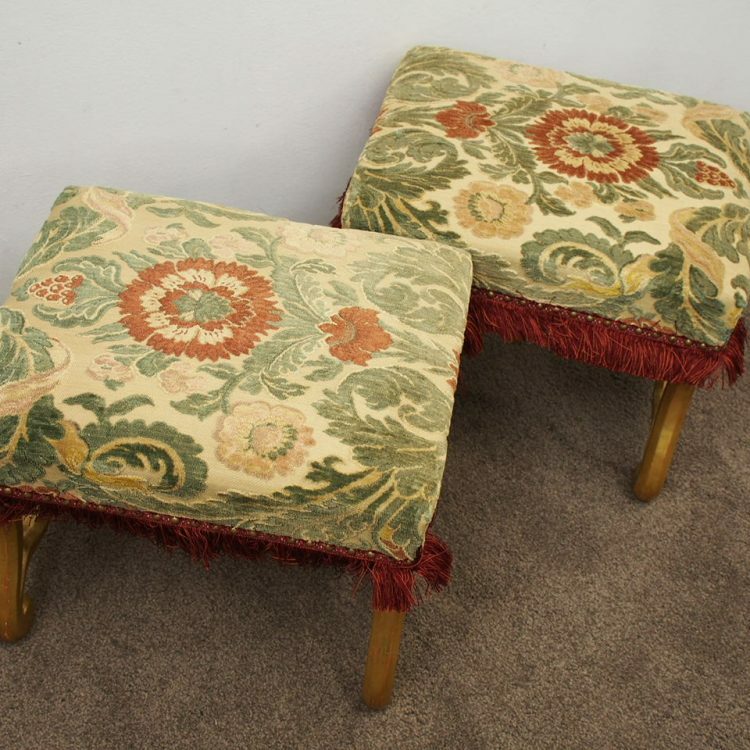 With their stuffover seats and red fringing beneath, standing on raised scrolling legs. 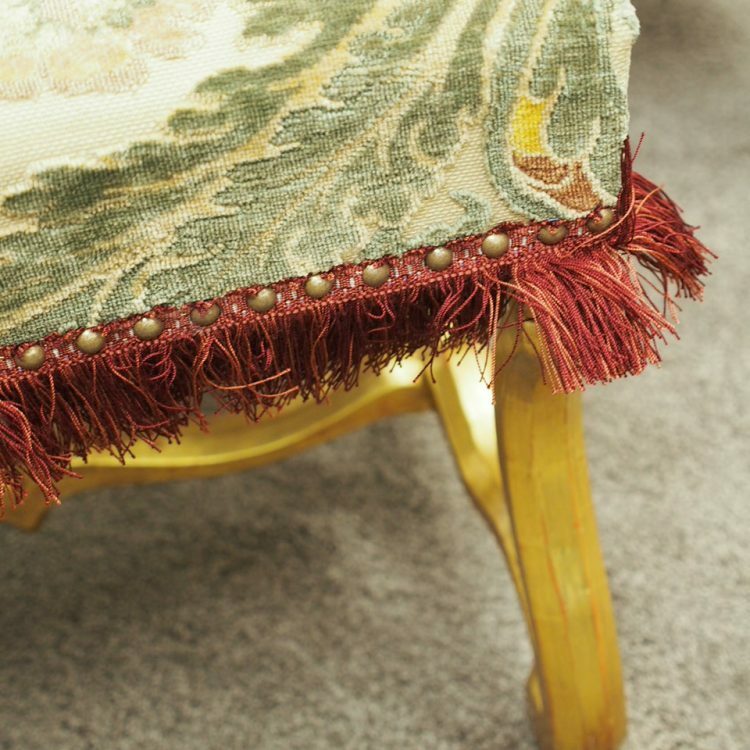 The legs and stretchers have been burnished in gold.